Stewart, an interdisciplinary design, engineering and planning firm, is honored to announce President and Director of Design George E. Stanziale, Jr., is elevated to the American Society of Landscape Architects (ASLA) Council of Fellows. Stanziale received his nomination in the Leadership and Management category from the ASLA North Carolina chapter for his transformational and pioneering mindset and unwavering focus on the power of landscape architecture on the community. He is among 31 distinguished professionals elevated this year from around the US. Fellows are recognized for their exceptional contributions to the landscape architecture profession and society at large. Election to the ASLA Council of Fellows is among the highest honors the ASLA bestows on members and is based on their works, leadership and management, knowledge and service over an extended period of time. Stanziale applies a design-thinking approach to every aspect of leadership and management, including helping build Stewart as it is today, a highly integrated force of more than 200 multidisciplinary professionals. By vigorously employing this mindset, ASLA notes Stanziale has pioneered and refined a multidisciplinary, consensus-based approach to design that has fundamentally transformed the landscape architecture profession in North Carolina over the past 35 years. Stanziale’s volunteer leadership includes the transformation of North Carolina State University’s (NCSU) landscape architecture curriculum into one that balances insightful design with pragmatic professionalism and the establishment of Urban Land Institute’s (ULI) Research Triangle District Council, which now supports more than 700 members, as well as being a founding member of the ULI Carolinas including five district councils across North and South Carolina. By bringing together diverse minds and professions and actively engaging with the people of his state, Stanziale has unleashed the power of landscape architecture and placed it at the center of the transformation of the communities he works in. A true testament to his leadership and community impact, Stanziale will also direct the NCSU College of Design Board as 2018-2019 president, strengthening his role as a key advisor to the dean of the College and influencing the larger design community. The college includes the departments of architecture, landscape architecture, interior, industrial and graphic design as well as art and design. 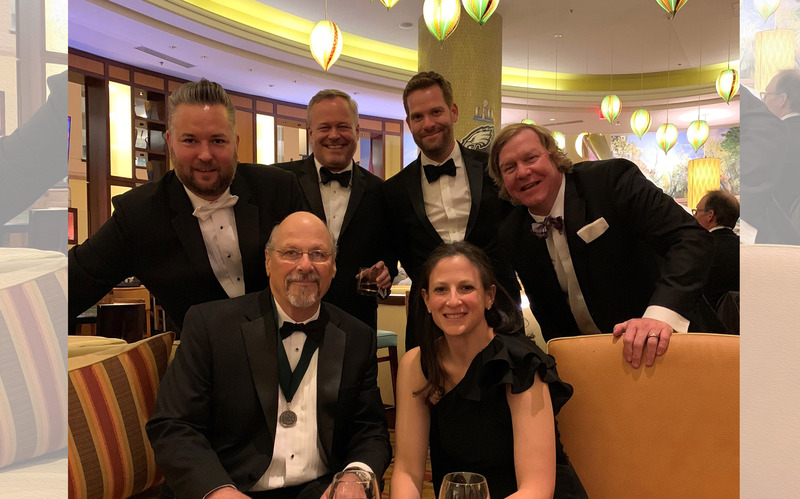 This year’s Council of Fellows was inducted during an investiture ceremony at the annual ASLA Conference and Expo, held Oct. 22 in Philadelphia. For more information on this year’s fellows, see the full profiles here.